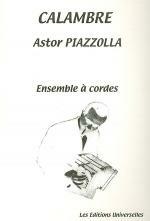 Ástor Pantaleón Piazzolla (March 11, 1921 – July 4, 1992) was an Argentine tango composer and bandoneón player. His oeuvre revolutionized the traditional tango into a new style termed nuevo tango, incorporating elements from jazz and classical music. An excellent bandoneonist, he regularly performed his own compositions with different ensembles. Piazzolla's nuevo tango was distinct from the traditional tango in its incorporation of elements of jazz, its use of extended harmonies and dissonance, its use of counterpoint, and its ventures into extended compositional forms. As Argentine psychoanalyst Carlos Kuri has pointed out, Piazzolla's fusion of tango with this wide range of other recognizable Western musical elements was so successful that it produced a new individual style transcending these influences. It is precisely this success, and individuality, that makes it hard to pin down where particular influences reside in his compositions, but some aspects are clear. The use of the passacaglia technique of a circulating bass line and harmonic sequence, invented and much used in 17th and 18th century baroque music but also central to the idea of jazz "changes", predominates in most of Piazzolla's mature compositions. Another clear reference to the baroque is the often complex and virtuosic counterpoint that sometimes follows strict fugal behavior but more often simply allows each performer in the group to assert his voice. 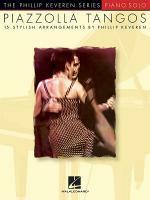 A further technique that emphasises this sense of democracy and freedom among the musicians is improvisation that is borrowed from jazz in concept, but in practice involves a different vocabulary of scales and rhythms that stay within the parameters of the established tango sound-world. Pablo Ziegler has been particularly responsible for developing this aspect of the style both within Piazzolla's groups and since the composer's death.